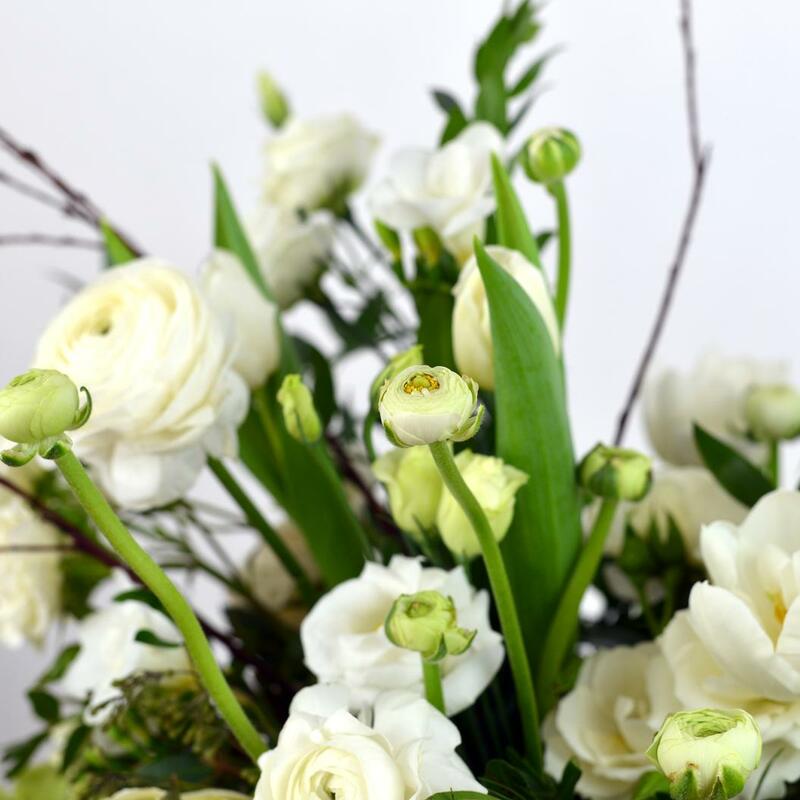 A beautiful array of delicate white flowers and gorgeous greens. The Esa is designed in the "Downton Abbey" style in a gold metal vase. Simple yet classy, this arrangment will add beauty to any home. 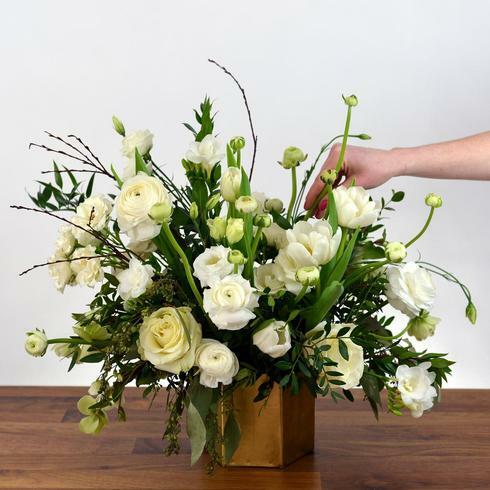 We appreciate the importance of presentation and assure that all of our products are gift wrapped with tender loving care before going out on delivery.